I have been producing podcasts since 2014 and have found it an invaluable way of networking with others and enabling me to pick others brains when trying to understand a subject. Below are the last few podcasts for you to listen to directly from the website. Just click on the episode you are interested in and the show notes and podcast player will appear. There are many more which I have not put on to this page- but you can access them by other means if you wish. If you prefer you can go directly to my page at Libsyn where I host the podcasts, or just find them on whichever podcatcher you use on your phone and listen to them from there. What happens to our patients after they leave the ICU? ICU patients are more complex even after discharge. They have a lot of post-discharge needs that make them unique and not every primary care provider is equipped to deal with them. That's why a number of centers are starting to develop ICU recovery clinics that see patients after they are discharged. I was lucky enough to be able to join Tanj and Dale Needham in this conversation at the ICS State of the Art conference 2018 in London. We discuss some of the ongoing issues with delirium in the critical care patient and how we might help them in prevention. All too often, we see critical care and palliative care as opposites, but they really go together nicely. Today on the podcast, we talk with Dr. Jessica McFarlin (@JessMcFarlinMD) about palliative care and how we can integrate it into the care of our ICU patients. We have had a break but time we got together again. In this podcast Jonny Wilkinson (@wilkinsonjonny) and I discuss the latest post on his fabulous website breaking down some of the new stuff out there on the internet relevant to our practice. Go and look at the website too if you wish- well worth the visit. I am very confused by the fluid discussions that seem to be constantly ongoing and changing! Which fluids to give, how much, when etc, etc. I am hoping to learn something during this mini-series starting with this discussion with Segun Olunsanya- @iceman_ex. We talk about some of the physiology involved. Stick with it- I learned something and hope you will too! Acute Kidney Injury is a common complication in the ICU. Today we discuss it with Dr. Juan-Carlos Aycinena, a critical care nephrologist at the University of Kentucky. Dr. Aycinena refers to the KDIGO guidelines, those, along with a lot of other great guidelines and information about renal disease can be found at https://kdigo.org/guidelines/. This is a discussion I had with Cath and Rachael, both senior physios about the European Respiratory Society 2018. Continuing with our mini-series on electrolyte disturbances, today we talk with Aaron Cook about hyponatremia in the ICU. Aaron is a clinical pharmacist at the University of Kentucky specializing in Neurocritical Care. This is the second chat with Thomas Piraino (@respresource) who is a Clinical Specialist in mechanical ventilation at the Centre of Excellence in Mechanical Ventilation, St. Michael’s Hospital. We are moving onto some of the more complex modes of ventilation here with more variability and tweekability being offered by the ventilator. Dr. Srour is an attending in the Anesthesia Critical Care Division at the University of Kentucky where I practice. 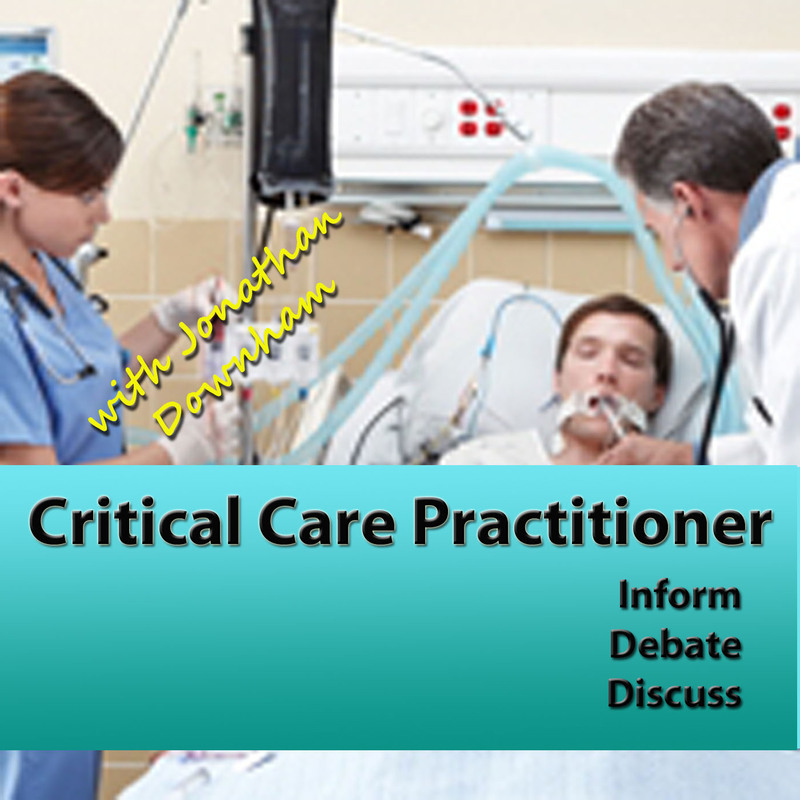 The episode is the first in a mini-series on electrolyte imbalances in the ICU. I hope to record an episode on hyponatremia soon. Bhudia SK, Cosgrove DM, Naugle RI, Rajeswaran J, Lam BK, Walton E, et al. Magnesium as a neuroprotectant in cardiac surgery: a randomized clinical trial. J Thorac Cardiovasc Surg. 2006;131:853-61. Koinig H, Wallner T, Marhofer P, Andel H, Hörauf K, Mayer N. 1998. Magnesium sulfate reduces intra- and postoperative analgesic requirements. Anesth Analg. 1998 Jul;87(1):206-10. Speziale G, Ruvolo G, Fattouch K, et al. Arrhythmia prophylaxis after coronary artery bypass grafting: regimens of magnesium sulfate administration. Thorac Cardiovasc Surg 2000; 48: 22–6. Dorman BH, Sade RM, Burnette JS, et al. Magnesium supplementation in the prevention of arrhythmias in pediatric patients undergoing surgery for congenital heart defects. Am Heart J 2000; 139: 522–8. Minato N1, Katayama Y, Sakaguchi M, Itoh M. Perioperative coronary artery spasm in off-pump coronary artery bypass grafting and its possible relation with perioperative hypomagnesemia. Perioperative coronary artery spasm in off-pump coronary artery bypass grafting and its possible relation with perioperative hypomagnesemia. Puri GD, et al. The Effect of Magnesium Sulphate on Hemodynamics and Its Efficacy in Attenuating the Response to Endotracheal Intubation in Patients with Coronary Artery Disease. Anesth Analg. 1998 Oct;87(4):808-11. Nicol (@nicchik90) is an RN and an author over in the US. She also has a website over at nicolekupchikconsulting.com where she has many other great resources for others in the profession to use. She recently presented at NTI Boston 2018 and. amongst other subjects, she discussed some of the recent papers we should all be aware of which might impact on our practice in the future. Fascinating discussion and I certainly learned something! I'm hopeful I can get her back next year. This is the first podcast with my new co-host Bryan Boling without me! He has chosen to have a discussion with Brandon Oto (@critconcepts). Brandon is a PA in the Washington DC area who also writes a blog called Critical Concepts (http://www.critcon.org). The episode discusses maturing as a provider as is based on a blog post he wrote recently. I think we can all take something from this one. CCP Podcast 91: Practitioners across the pond. I would like to introduce you all to Bryan Boling (@bryanboling) who is a critical care nurse practitioner over in the States. He is going to be a regular contributor to the podcast and he has many ideas and topics he wants to cover. In this episode, we talk about the differences and similarities of the practitioner role in the UK and the USA. I thought it was time we explored the subject of mechanical ventilation again and so I reached out on Twitter and am now joined by Thomas Piraino (@respresource) who is a Clinical Specialist in mechanical ventilation at the Centre of Excellence in Mechanical Ventilation, St. Michael’s Hospital. We start with the basic modes and what is actually happening in those modes. You are going to have to concentrate on this one. Hopefully, this will be a series of podcasts to help us all understand better the process of mechanical ventilation. I was lucky enough to be joined by Cath Edwards (@cathedwards_1), a physio up in Lancashire. She attended this years British Thoracic Society 2018 Summer meeting. So I picked her brains about what she heard there. It sounds like a great conference and I think one I will be trying to attend in the future. In May of this year, the American Association of Critical Care Nurses held their National Teaching Institute & Critical Care Exposition. NTI2018. By UK standards this is huge with over 9,500 delegates and 350 presentations to go to! I followed this conference via social media so kind of experienced it. I also watched the Facebook Livestreams they did at the end of each day and was lucky enough to get to chat with the three nurses involved in this: Jon (@technursejon), Marissa (@marissa_labate) and Anna (@anna_the_nurse). Lots of great things happened there and I hope I might be able to be there in person next year. Extracorporeal membrane oxygenation or ECMO is one of those treatments we sometimes need to think about with our very sick patients. I recently had to make a referral to my local centre and doing so made me wonder what it is that the ECMO centres want from us to make the path smoother. So I asked Dr Susan Dashey, Consultant at Glenfield Hospital and Dr Brij Patel, Consultant at the Royal Brompton and Harefield Hospitals. Both these are centres for ECMO. I think their answers will provide us with some guidance for the future. CCP Podcast 86: Psychology of patients, relatives and staff. The psychology of our patients, their relatives and the staff we work with is under discussion in this podcast. I managed to get Megan Hosey (@DrMeganHoseyPhD), a psychologist from Johns Hopkins, Dr Julie Highfield (@DrJulie_H), a psychologist from Cardiff and Dorothy Wade (@dwadepsych) a psychologist from London together to discuss these important issues. We talk about management issues to help prevent PTSD and how we can identify and manage burnout in staff. 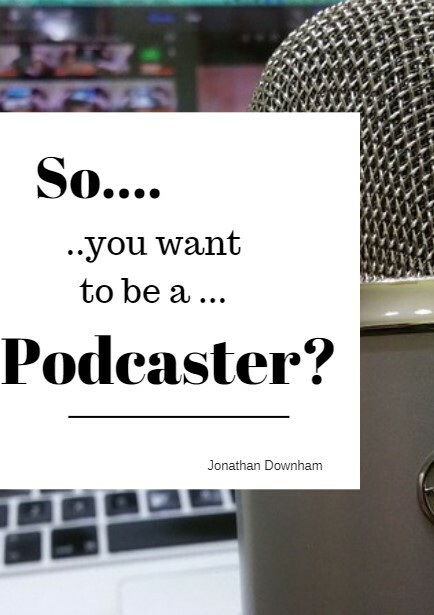 If you want to know more about how to make your own podcast, and whether you should, you can download this FREE PDF which will provide you with all you need to know.